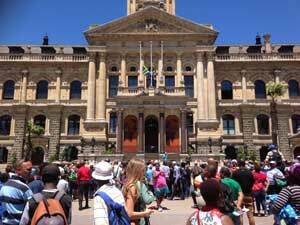 Day of Reconciliation in South Africa falls on December 16th each year and attempts to bring reconciliation for past differences. People are to have an awareness of the past and a goal to heal and have reconciliation going forward. Two main events make this day a holiday. The first was the Day of the Vow where the Voortrekkers took a Vow before God prior to their battle with the Zulus that if victory they would remember the day and build a church. The second was the formation of the military wing of the African National Congress back on December 16, 1961.